I genuinely like Magnus, truly I do. But I always feel like I’ve fallen for a 2:00am infomercial when I watch his videos. Does anyone know where to get a keychain like Magnus has on the video (924 carrera gt le mans)? This dude is a true “look at me” and sadly that’s what he has done to this rare classic with a bad taste paint job and ho hum wheels. Fashionista… NOT. Some of your cars are pleasing to the eye Mr. walker but you got this one wrong old mate. 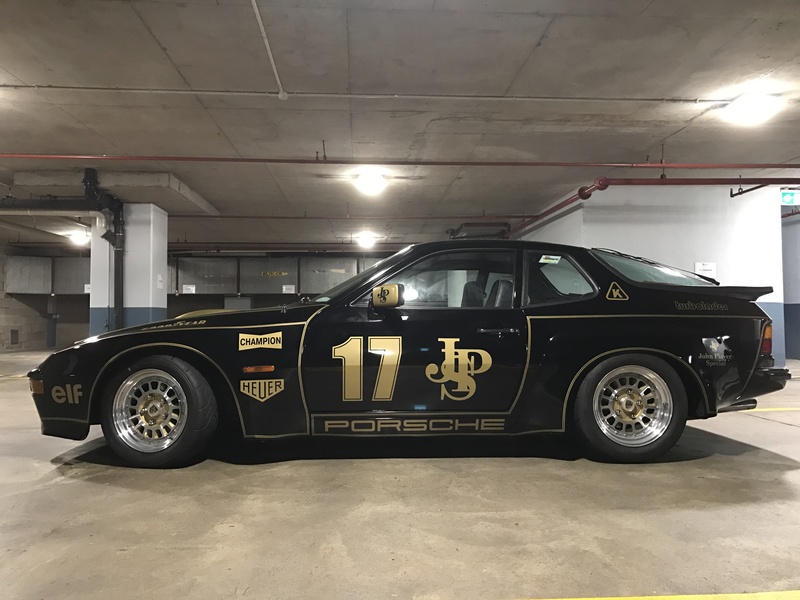 As an old guy with an 87 911 (in truth, my wife’s baby), who loves track time, I can say you can have a great drive with a fun car on the Crest or Mulholland or Ortega, etc. without going anywhere near the limit. I don’t mind Magnus or anyone risking their life on the road, but I’d rather they not take me with them! My aunt Doris had an eighties K-car station wagon with the exact same paint job as this 924. It looked better on her ride. great video! and great collection! Hi! Can someone explain the pegasus like visual on the front fender? I’ve seen it many times before. But I don’t know what it means. Nice video BTW. That’s the original logo of Mobil gas. Magnus likes to make historical references in the way that he modifies and ornaments his cars. These include sponsor logos of the past, and a few of the present. For instance he will also use rubber hood tie downs of a type that Porsche used in the 60s or so. 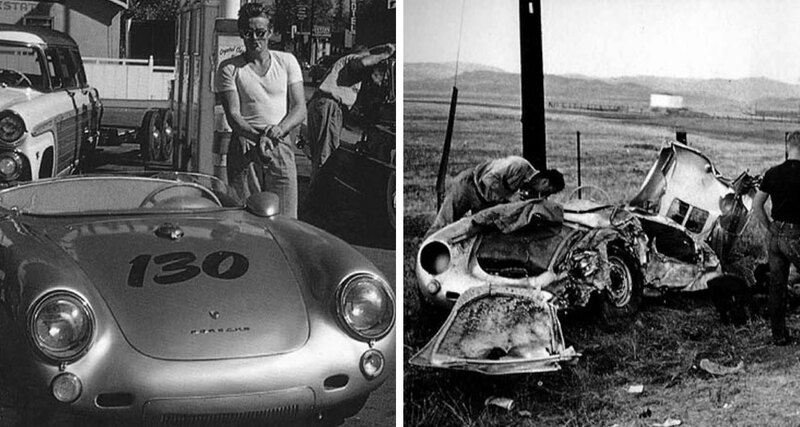 These are no longer legal for most competition, but make a reference to Porsche’s storied past. Magnus is exceedingly knowledgeable about Porsche history, and so would be able to tell you exactly where and when these references to prior Porsche practices apply. 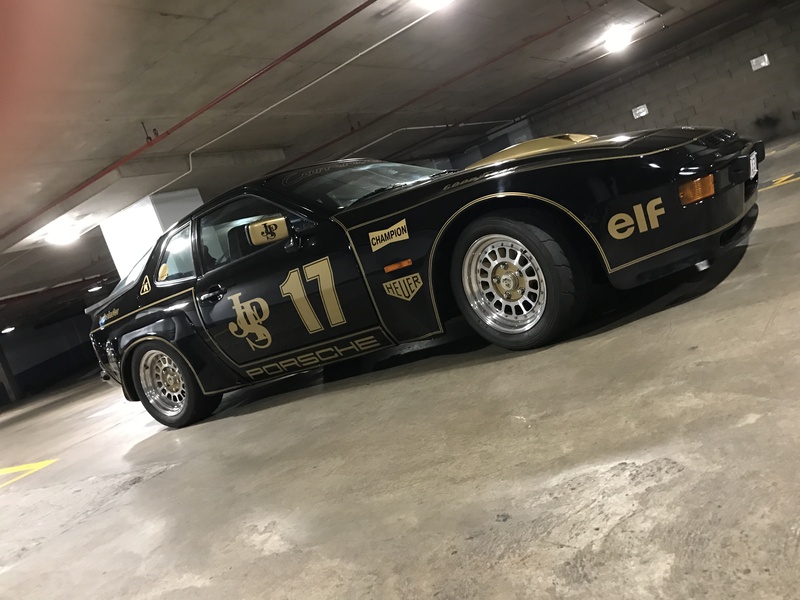 Shame we did not hear anything about the Holbert super widebody 924 that was parked next to the Carrera GT (with Martini stripes). That is the rarer and arguably more interesting car IMO. Magnus is a modern legend and overall really nice guy. I had the pleasure of meeting him at the Festival of Speed a few years back and he is as humble as they come. 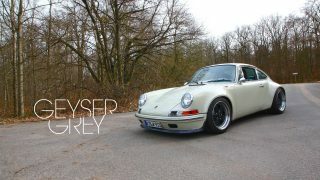 Love his collection, passion for cars and Thanks sharing a glimpse into his world. I like the style of the guy, and it is a delight to see someone being so “alternative” but still both passionate and knowledgeable about Porsches among all the straight and boring and overpaid P-owners. 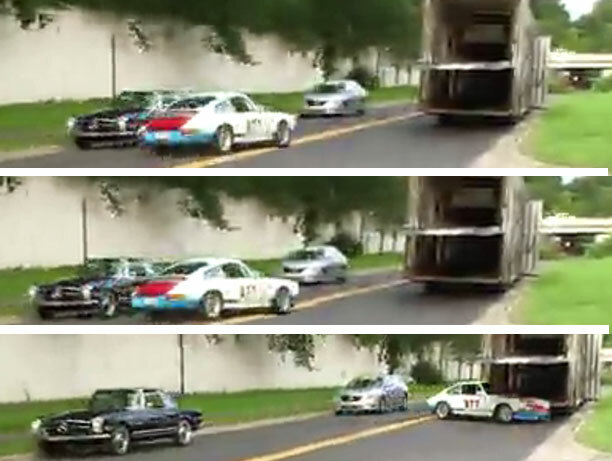 But, I am less impressed with the content of those vids posted by others here – driving fast in fairly dense traffic is one thing, most of us do it occasionally or frequently, but those inside overtaking maneuvers are just plain lame. File, Save. That’s one excellent quote Wing Nut! @ Robert in LA. Ferrari’s 275GTB and the Daytona both have a transaxle setup. Early 275’s did not have torque tube but Ferrari found there were lots of vibration problems unless everything was perfectly aligned so added them on the later long nose cars. Incidentally Ferrari used Porsche Syncros in the gearboxes for these! Update: The 1972 Alfa Romeo Alfetta was front engine rear transaxle. So they tried this combination as well, on a small sports sedan. 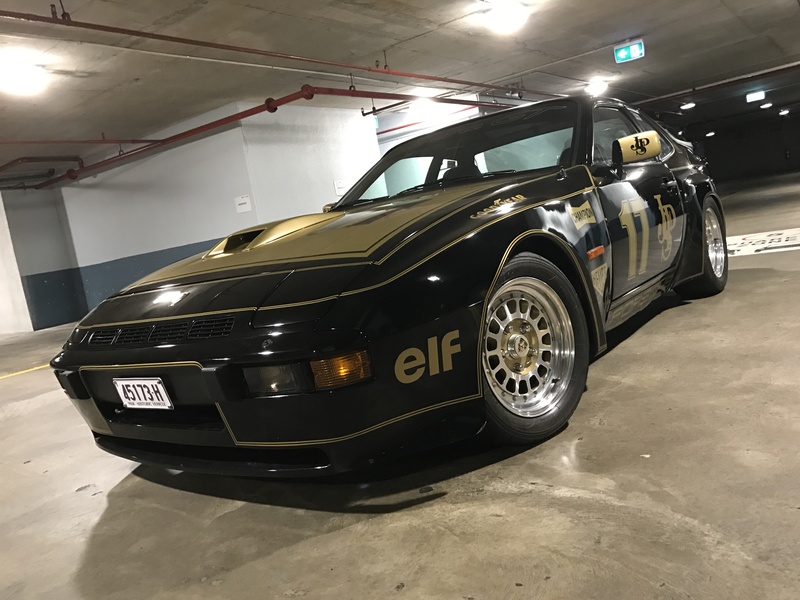 Another thought – Thanks to Magnus Walker for his evaluation to one of the all-time great Porsches – the 924. I agree with Magnus totally about the handling, balance and feel of the 924 which I prefer to the 911. Perhaps, I am a bit of an outlaw, because I tend to prefer the front-engined Porsches to the 911, and the mid-engine ones, as well. I have owned two 911s as well as other Porsches, and my next one might be a Macan or a 924 Carrera. 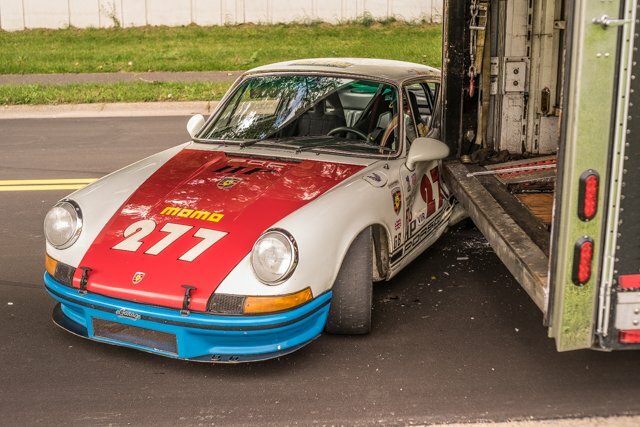 While Magnus Walker always delivers a fascinating load of insights into Porsche as well as his own ideas and attitude, I would find life very boring to drive over the same road over and over again and again – even in his breathtaking array of Porsches. Magnus, you ought to do more long distance driving in the grandeur of the American West. The roads and highways offer majestic scenery and unforgettable experiences. 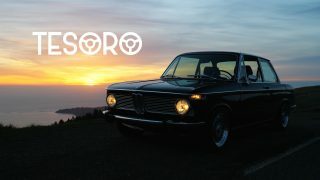 Why not cruise up to Big Sur? Black Rock? Death Valley? Grand Canyon? Monument Valley? Yellowstone? Why remain fixated on one road like a hamster on a wheel? 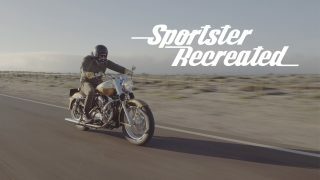 Go Magnus and thanks Petrolicious for another car owner/enthusiast that rides his car(s) as it should be driven! At 7:11 regarding Route 2, The Angeles Crest Road, Magnus says: “you can go flat out in fourth or fifth gear”, yet this is the kind of thing that happens when Magnus goes flat out on secondary roads. Franz, most of us on the Crest have a thing for staying on our own side of the double yellow. Magnus, not so much . .